Few things annoy me more than hearing the expression ‘that’s just semantics’. I understand why people say it. It is used when we hear someone disputing the words being used to describe some set of conditions, which we take to be patently clear and not requiring debate. But quibbling over wording is contesting how ‘reality’ is being constructed. This kind of contest should be more dignified, but it suffers from being the kind of thing that politicians do to cover their backs. Which is why a letter to the Sydney Morning Herald recently started with the sentence 'A tax is a tax is a tax'. 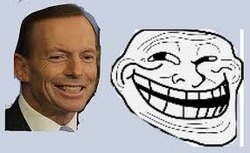 The context for it is the current pre-budget shenanigans. Mr ‘no-new-taxes’ Abbott has raised the possibility of a ‘deficit levy’ as a response to the budget ‘emergency’ on which much of the Coalition’s election campaign was predicated. The first Abbottism: "Renaissance of forestry"
Politicians, particularly those from parties which get to hold power, have to explore the outer limits of word meanings. This is because when in power you have to do things (not just say things), and some of these things are controversial. If you are going to do things that are widely unpopular, or on the threshold of illegal, you have to push rhetorical boundaries. If you get enough support – it helps to have one the world’s most powerful media baron on your side – then after a while, your ways of talking get normalized, and no longer sound like something out of Kafka. 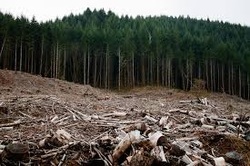 Earlier this month, Abbott announced that the government would seek to overturn the World Heritage listing of 74, 000 hectares of Tasmania’s forests. Now, with the Liberals back in power in Tasmania, Abbott is promising what he has called a “renaissance of forestry”. I am trying to find exactly the right word to describe how I feel when I hear serious, experienced, political ABC journalists use the word ‘commoner’. 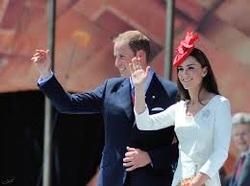 The first time in my recent memory was on the occasion of the wedding of Will and Kate. Two distinguished Australian journalists, Mark Colvin and Emma Alberici, discussed, with all seriousness, the mode of locomotion Kate Middleton would be relying on to get to Westminster Abbey, since, as a ‘commoner’, she wasn’t entitled to go by royal carriage. And now, with the arrival of another heir to the English throne, I hear, in a lather of great excitement, Fran Kelly on Radio National Breakfast interviewing a ‘veteran’ royal watcher. "Fallen" heroes? Tell me what really happened instead. This is an important line of defence that kids learn very young: I didn’t do it! It just happened. The distinction is not just about the choice of words. Kids are, unconsciously, recruiting an important grammatical distinction when they say these kinds of things. Did Collingwood president racially vilify Adam Goodes when, in his idea of a joke, he linked him to the twentieth century’s most iconic non-human primate? “Did I racially vilify? No, I had a slip of the tongue. But did what I say, was it racial vilification? Yes it was," he said. It’s budget time, and when a government is facing considerably lower tax revenues, and an election in just a few months, it has to be able to make bad news sound like good news. No problem! There’s always more than one way to skin a cat. For starters, instead of saying they are cutting spending, they can say they have “found savings”. On the day Simon Crean was getting ready to end his ministerial career, PM Gillard was giving the speech of her life. If you haven’t watched it, do yourself a favour. It was a cracking apology given to the mothers and children and families affected by forced adoption in the period of the 1950s to 1970s. The speech was detailed and pulled no punches. Gillard called the practice “coercive” and “brutal”; “unethical”, “dishonest” and often “illegal”. Babies were “snatched away” before their mothers had even held them in their arms.